A visit to the Galapagos Islands is the essence of nature tourism. Some of the most rare and precious animals in the world live here - all thriving in a diversity so great, it inspired Charles Darwin. 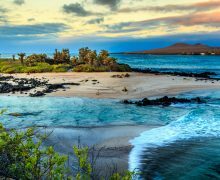 Each of the Galapagos' 21 islands has a unique climate and ecosystem. Whales pass offshore from July through October, and they may be seen from the comfort of a speedboat that ferries guests from the white sandy beaches of Isabela to the interesting research station on the neighboring island of Santa Cruz. Every activity, from kayaking in the calm ocean to exploring the natural lava tunnels, affects the irreplaceable natural ecosystem as little as possible, while sending guests home with equally irreplaceable memories that will inspire for a lifetime. 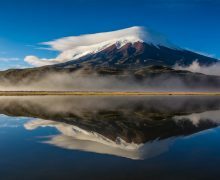 This exciting trip to the Galapagos Islands beings in the bustling city of Quito, Ecuador and depending on your arrival, you may have time to explore its delights. The islands are an enchanted paradise, teeming with unique wildlife. Isolation from the mainland for millions of years has created a natural sanctuary. 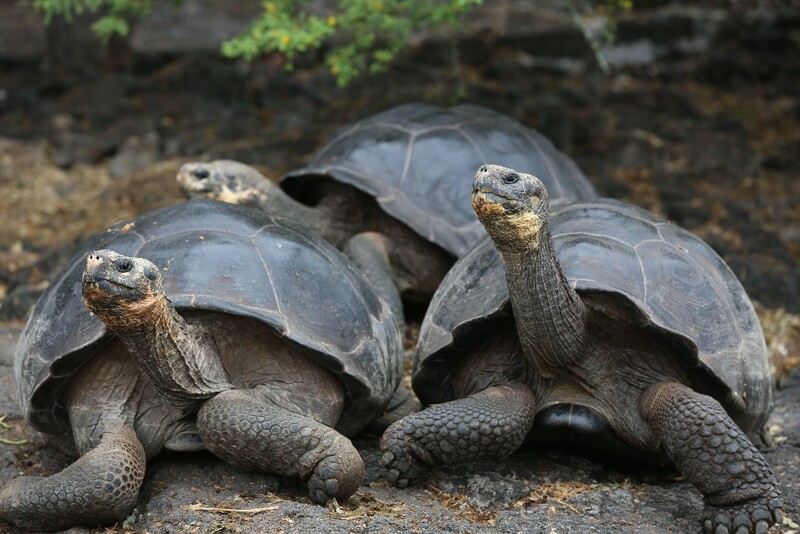 These giant tortoises are the longest lived of all vertebrates, averaging over 100 years old. They can grow over 5 feet long and 550 pounds. 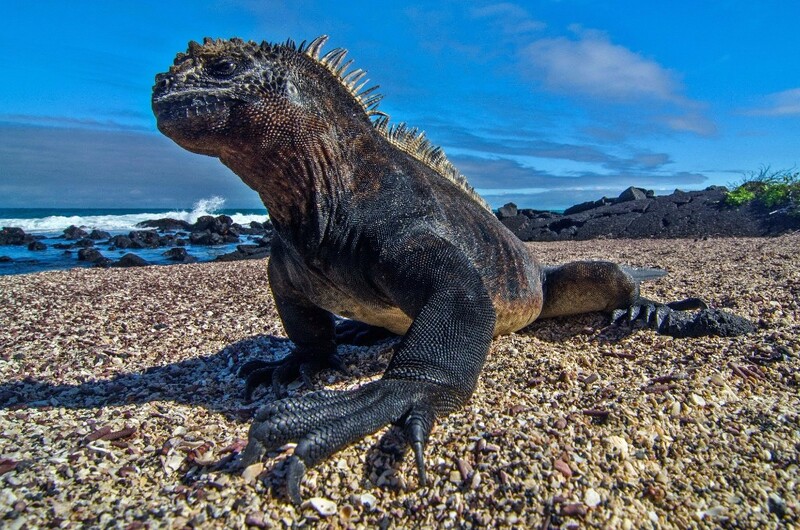 The marine iguana are gentle herbivores that spend their days eating underwater algae and seaweed, and then return to bask in the sun. 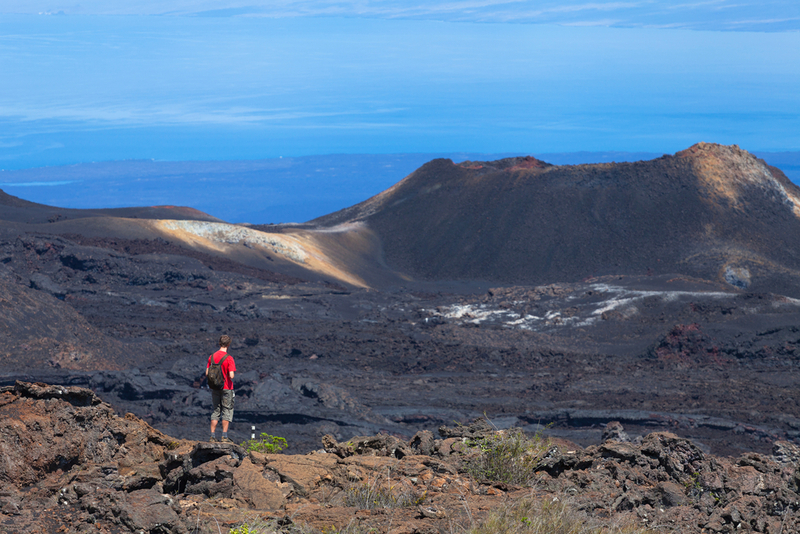 Our Best of Galapagos trip also includes snorkeling, optional kayaking and a hike to the still-active Sierra Negra Crater volcano. 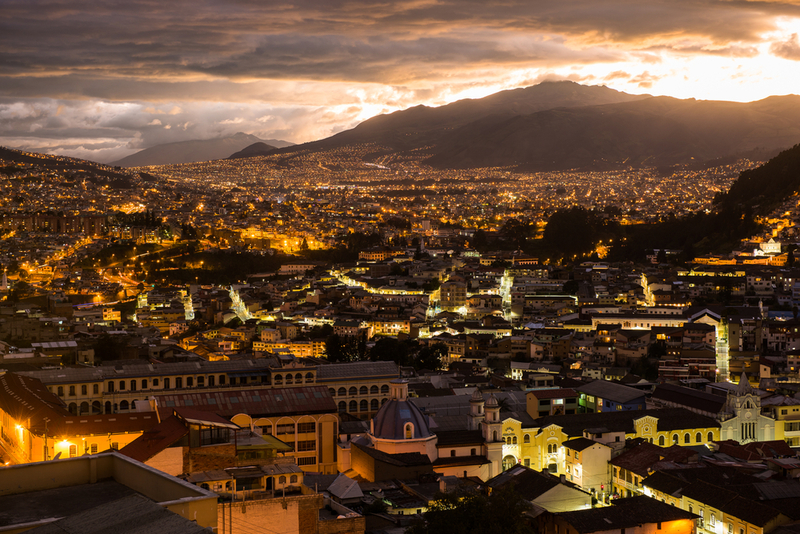 The 7 day trip begins with a flight from Quito to Baltra, followed by a speedboat to Isabella and back. 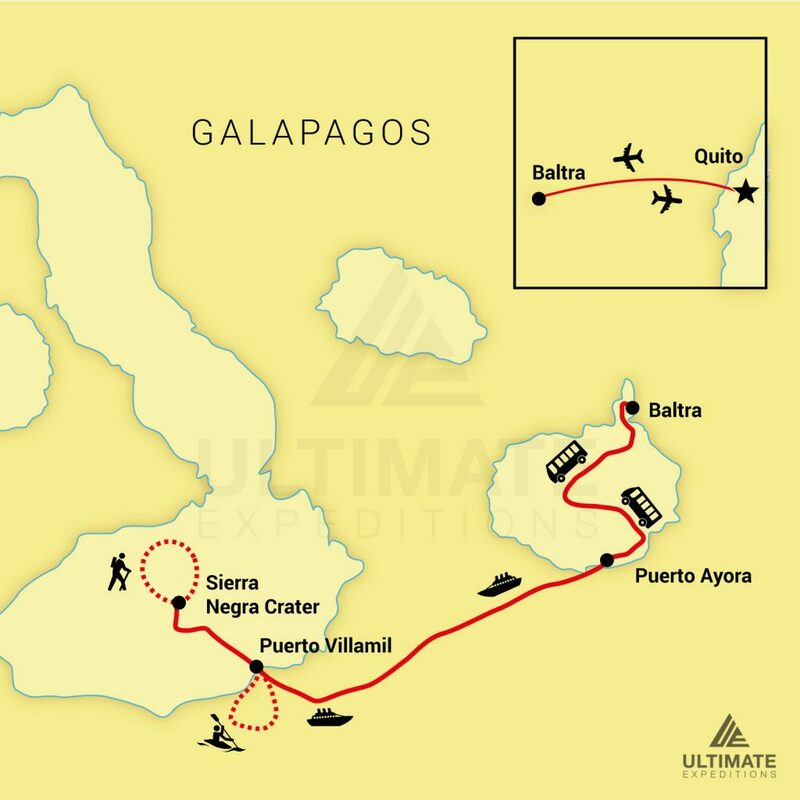 Our 7 Day Best of Galapagos includes: domestic airfare, land and sea transportation, accommodations, meals, and expert guides. 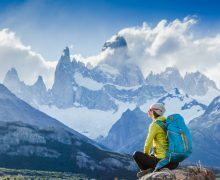 This trip is offered as a private tour starting at $2.280 per person.